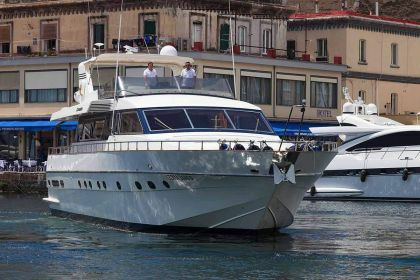 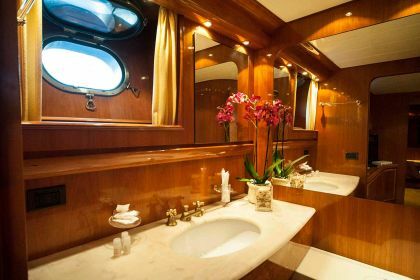 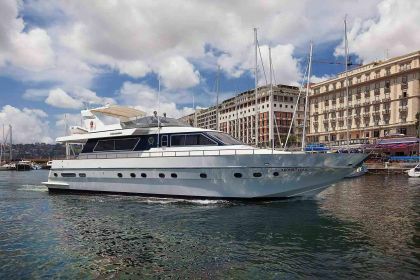 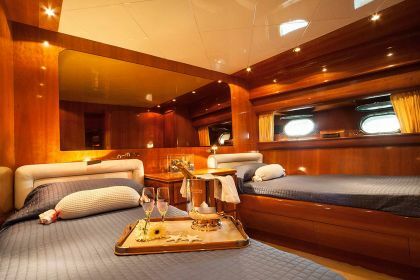 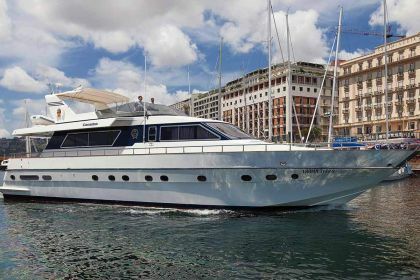 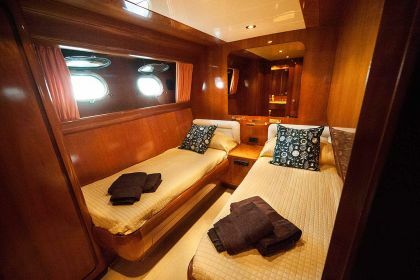 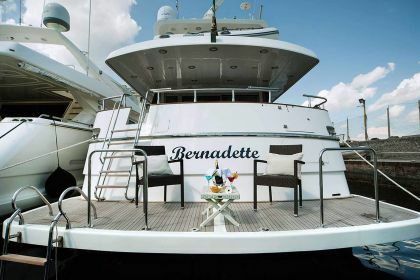 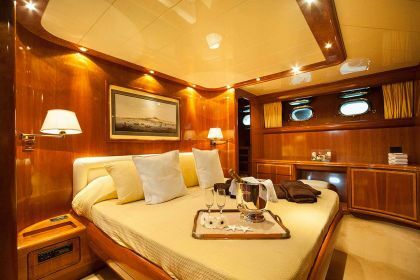 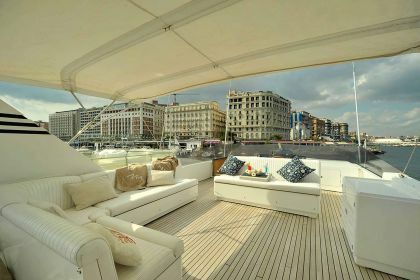 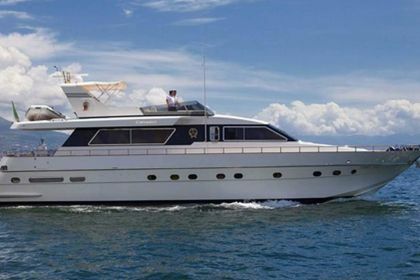 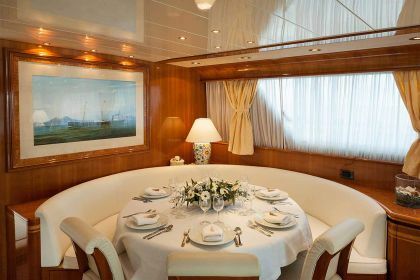 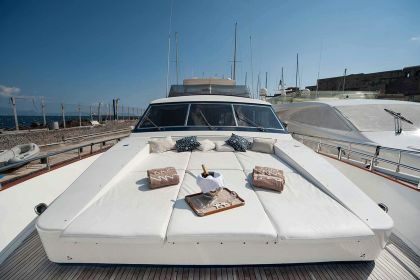 Bernadette - refitted in 2010 and 2015 - is one of the most comfortable and spacious yacht for her category. 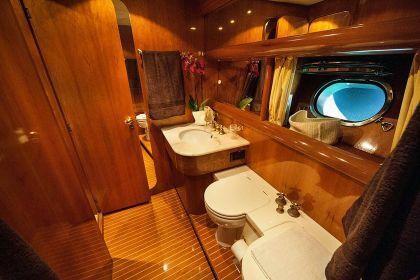 All cabins feature SAT-TV. 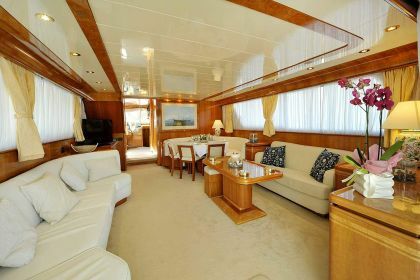 The large living room has a dining table, two sofas and a 40” LED TV. 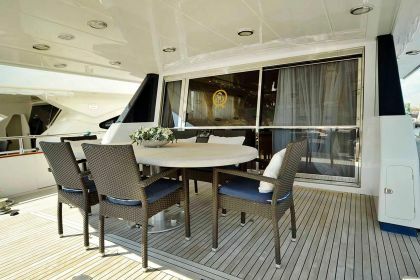 In the cockpit is a table sitting up to 6, and if extended it can comfortably dine 8 people.The flybrige is composed of a spacious and comfortable seating area.